 Blog post co-authored by Patrick Nsukami (Dakar Linux User Group), Pierre Chrzanowski (Open Knowledge Foundation France) and Tangui Morlier (Regards Citoyens). As part of the “Tandem Dakar Paris” a Digital Week organized in May by the French Institute, Jokkolabs (Dakar) and La Cantine (Paris), people from Senegalese and French Open Data communities joint their forces during a workshop in Dakar to explore Senegal Public Data. type of procurement : service, good, etc. We choose to download files from the first quarter of 2012 to the first quarter of 2013 (the last one available). Task #1 - Split the PDF files : First step was to split the PDF into one-page-only files that would be easier to handle by scripts. This means to go from one document, containing lots of pages, for example 100 pages, to 100 documents of 1 page each. We used pdftk a free and opensource command lines tool, to perform this operation. retrieve all the lines on "Public Procurement"
Eventually, we got a pretty good first version of the csv file with all data on public procurements inside. Next step was to ensure the quality of the dataset and prepare it to be uploaded onto Open Spending. When extracting data from a PDF file, most of the time your csv comes with conversion errors such as misplaced or divided cells. It is important to correct those errors before going any further. Your dataset is a combination of different inputs from different public authorities : you must also ensure that every reference in the dataset has a unique name (public authority, company, etc.). This will facilitate the analysis. Finally, for uploading the dataset onto Open Spending, you must also ensure the quality of the data such as avoiding empty cells, or converting amounts and dates in the appropriate formats. All this is part of the cleaning process. To perform those operations we used only 3 kind of tools, linux shell tools, a spreadsheet application LibreOffice Calc (but you can also use Excel) and Open Refine (formerly known as Google Refine). Linux shell tools such as awk, grep or wc that help to identify the error and check if they are correctly corrected. They help to aggregate data and be sure that corrections needed were done globally. A text editor can also be used for this step. Open Refine is a powerful application to help you quickly clean your dataset. We mostly used Refine for its “cluster” feature, which helps you find groups of different cell values that might be alternative representations of the same thing, and then let you attribute a unique name to those cells. We used the “cluster” tool once we were sure that the cells contained the correct information. And we used LibreOffice Calc for all other operations : aggregate divided cells ; convert amounts in the right currency ; fill in empty cells with a default value. Convert date format from DD/MM/YYYY to YYYY-MM-DD (standard for Open Spending). Once the csv has been cleaned, we published the dataset on NosDonnées.fr the French Open Data Hub, under the Odbl licence. The file was then available for all in an open and machine readable format. Step #1 - Import and validate the dataset : assign a name, an identifier, a country, language, a currency and a description to your dataset. Then specify the url of your dataset. The file must be available on the web, this is why we published it first on NosDonnées.fr. Step #2 - Create a model for your dataset : once the file has been validated by Open Spending, you are invited to attribute dimensions related to your spreadsheet, i.e defining which field designate what. The mandatory fields are the field date, the field amount, the field “to” which is the entity who received the contract, and the field “from” which is the “entity” offering the contract. Fields “to” and “from” must be compounds dimensions, however the model will not be valid. Make also sure you have an unique ID for each entry. In our case we had to assign an unique code for each procurement row since it was not present in the original file. You can also specify which dimensions you want to be able to browse by in the Open Spending application. These are the facets of your model. We choose “public authorities”, “beneficiaries” and “type of procurements” and “procurements titles” as facets for our model. Once the model was ready, we saved it. Then, Open Spending started loading the entire dataset. In case of errors during the loading process, you can always come back to your dataset, do a bit of refine and reload it. After some trials and errors, the result was good enough to be published. So that’s all ! Senegal Public Procurements are now available on Open Spending and easily browsable. We hope this article will be helpful for your exploration into other country’s public procurements or PDF files.